There are a number of reasons why I made these cakes. Well, I suppose there are reasons behind every recipe I make, but this one has specific ones. 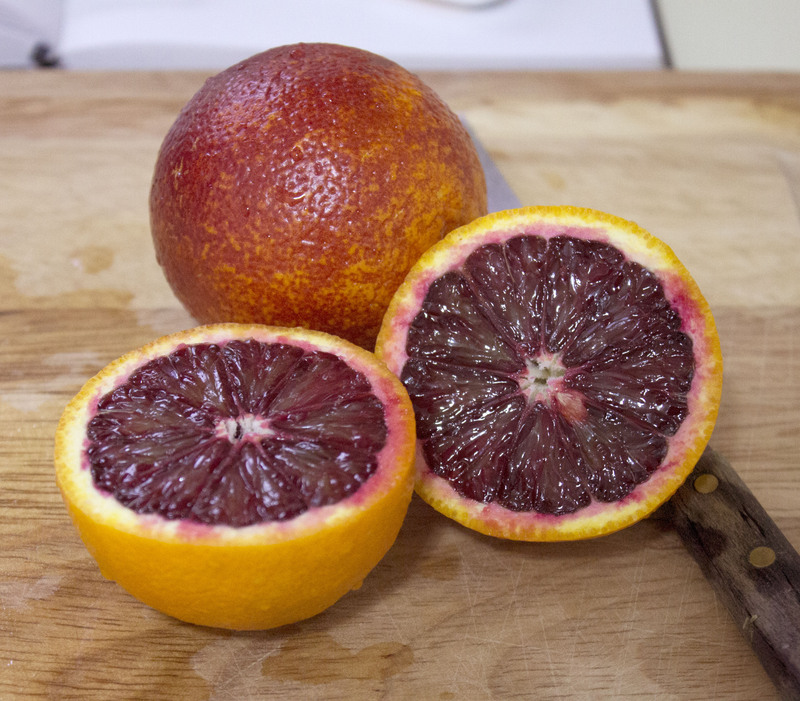 First, I picked up a bag of about 10 or so blood oranges at the grocery store last weekend. If you’ve never had one, they’re about the size of a tangerine and a little more tart than regular oranges. And they’re beautiful. They make a great snack on their own, but I thought their color would look beautiful baked! Second, on that same trip to the grocery store I bought a big tub of Greek yogurt. Which I hate. I do this every so often – I buy yogurt because I want something new for breakfast and because I know it’s healthy for me. Greek yogurt with fresh fruit, granola, and honey… it sounds so delicious! Then I eat it and remember why I never buy yogurt. I hate yogurt. So I thought, what am I going to do with this? Lastly, I was convinced I had a loaf pan. So I wanted to make a loaf cake. I didn’t realize I don’t have a loaf pan until after I put out all of my ingredients and started preheating the oven. Whoops. Makes 12 cupcakes or 1 loaf cake. Adapted from Sprinkle Bakes. 1. Preheat oven to 350F. Prepare cupcake tin with liners or loaf pan with parchment paper. 3. In a larger bowl, mix sugar, yogurt, eggs, vanilla, oil, zest, and juice until smooth. 4. Add dry to wet and stir until combined. 5. Bake cupcakes for 20-25 minutes, or loaf for 50 minutes until a knife comes out clean. 6. 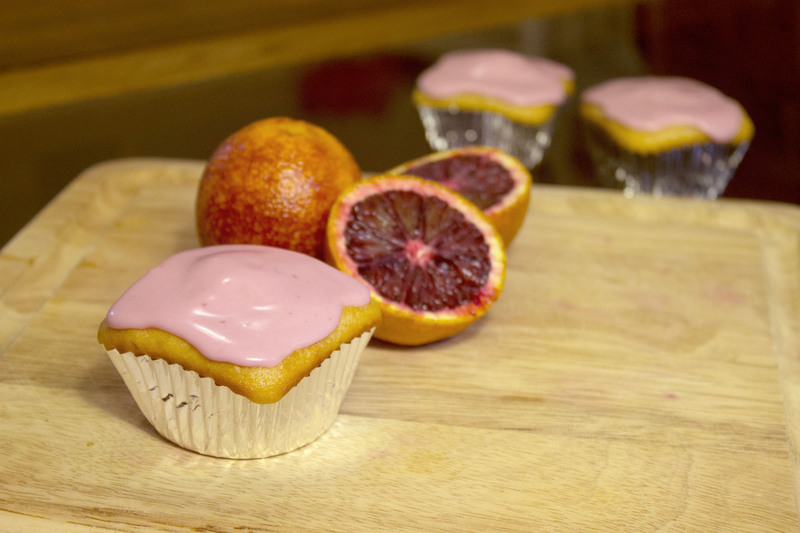 Once cakes are cooled completely, begin glaze by mixing juice and cream cheese. 7. Slowly incorporate powdered sugar. Add less for a thin glaze or more for thicker frosting. 8. Frost cakes and serve. Isn’t that pink color gorgeous? The blood orange juice is beautiful! And the yogurt makes a really light, fluffy cake. Much more enjoyable than in a bowl all by itself. 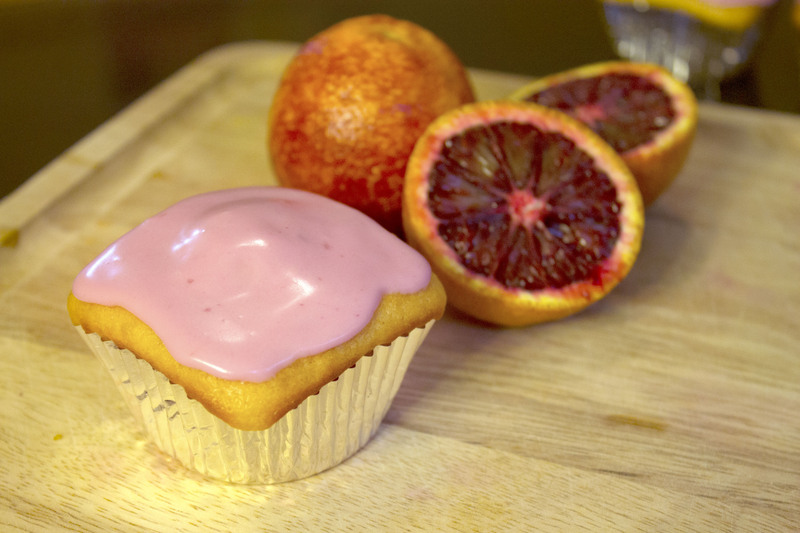 This entry was posted in Cupcakes and Cakes, Dessert and tagged cream cheese, orange, yogurt by Alyssa G. Bookmark the permalink.